In this digital era film production is one of the most attractive careers to run after. Besides, it will get your employability likelihood to the top, will offer you unlimited job opportunities, be it in your home country or abroad. Also, you’ll get the chance to travel a lot, explore new places, meet different people and cultures. And there’s no need to even care about your financial assets as your earnings will always be high. But, the industry is changing fast and it’s hard to keep it up with its dynamic unless you have a comprehensive grounding about this profession. Lucky for you, UK universities offer unlimited options to you. Additionally, the London Film Academy offers various short courses in Filmmaking. The Film Studies department at the School film of the University of Kent is acclaimed as being a leading institution in this industry. The department was founded over 30 years ago and ever since has stood at the frontline of the most revolutionary changes in the industry. Today, the school is home to worldwide reputed professionals who will absolutely determine your professional and personal growth required to stand out from the crowd in the job market. The Department of Film and Television at the highly reputed university of Warwick is traditionally top-ranked for its high quality. Its study curriculum is very innovative, market-oriented and award-winning so you’ll get the best out of your degree. Additionally, the student community is vibrant and diverse while the professorship is made of some of the best professionals in this field. And, what’s most important, the university has a lot of modern facilities where you can practice and test your skills and even conduct research activities. Film studies programs at the University of Essex are a perfect mixture of practice and theory. As a student, you will be required to combine your theoretical foundation and critical assessments in producing films. In this way, you’ll be able to identify your flaws and shape your filming skills gradually. In support of this, you’ll be subject to constant provision from excellent professionals. Study at the heart of London in one of the most reputed universities in the whole UK and surely beyond that. Department of Film Studies at this university offers some great courses for the film, which are distinctive in the way they are taught and delivered to you. Except you’re going to gain a well-rounded education in the theory of film and other interdisciplinary fields you’ll get your hands-on in film production thanks to their modern facilities. To add value to your degree courses may also include a placement year, which you can later use it as a strong reference to find a good job. Without no doubt, the University of Stirling is the best Scottish university for film studies and one of the best film schools in UK. Its film studies programs cover a full spectrum of filming aspects and subjects. 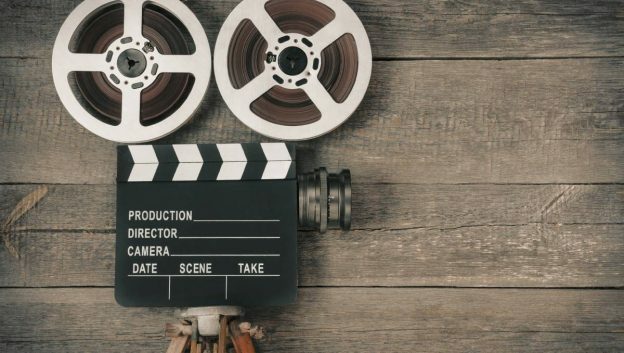 You won’t only establish a grounding knowledge about film, but you will also engage in training programs to teach you specific skills like video editing, audio production, scriptwriting. You can choose to seek a single honours degree or you can learn film in different contexts by attending joint degree courses. The Department of Film Studies at the University of Hull is a referral point to many talented students who have a higher interest in filmmaking. Their study programs in Filmmaking are almost perfect and comprehensive approaches to this subject. At the beginning of your course, you’ll be introduced to basic concepts and skills in filmmaking and will gradually move to more advanced topics. In the end, you’ll get a fundamental education in the theory and practice of filmmaking which ultimately will indicate your further improvement. Gain a well-rounded understanding of filmmaking and let your degree at the Television, Film and Moving Image department at the University of Westminster make the difference in your future employability. The division gathers talented students from study fields like filmmaking, design, fashion, etc. and globally valued professionals in digital media. Thanks to modern facilities you’ll be able to refine your craft and be ready to seek a job once you land the job market. Here are the available courses at the Department of Television, Film and Moving Image at the University of Westminster, London. Film production study courses at the Middlesex University, London aim to fully-prepare you to be able to work in different film-related settings. Its study modules are flexible and well-established, providing a full coverage of all major aspects of filmmaking while also granting you the freedom to choose your own pathway accordingly to what skills you want to improve more. The Liverpool John Moores University has an offer some excellent study programs in Film production. Here, you’ll learn fundamentals of filmmaking while constant provision you’ll get from their high-quality academics will keep you on the right track to improve toward advanced aspects of filmmaking. During the course you’ll participate in invaluable practice and engage in constructive discussions with your peers and your professors so it will also help you boost your communication and interpersonal skills.